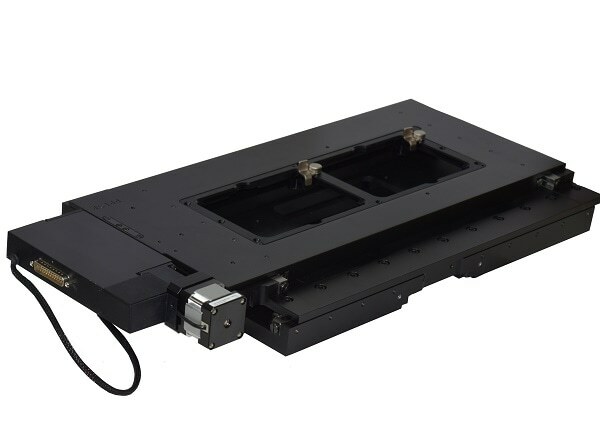 Designed for use with leading models of inverted microscopes, the H139 allows users to conduct two live cell imaging experiments in mircoplates at the same time, allowing more efficient use of imaging centre resources. Incorporating Prior’s patented Intelligent Scanning Technology (IST) as standard, the H139 can be optionally equipped with 50 nm encoders for demanding applications requiring the finest precision and accuracy. The H139 microscope stage may be controlled using Prior's compact and flexible ProScan® III control system. Using the ProScan III, the H139 can be automatically moved to an exact position, quickly move across and between samples, and automate imaging routines, as well as reducing strain from repeated manual operations. In addition to the H139 stage, the ProScan III is capable of controlling a focus motor, filter wheels and shutters, as well as accessories such as cameras. The ProScan III control system is compatible with most microscopy imaging software, thereby enabling a complete imaging system to be controlled entirely from just one point. 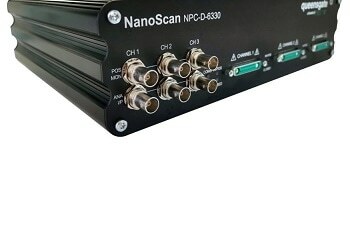 For more information on the H139 motorised microscope stage please visit www.prior-scientific.co.uk/Products/Motorized-Stages/h139-multi-well-plate-motorised-stage.aspx or contact Prior Scientific on [email protected] / +44-1223-881711 for further information.